At Bromley Dental Studio, we provide an extensive range of cosmetic dentistry services that aim at giving you a confident and beautiful smile. Our team dentists uses state-of-art technology delivered in a relaxing environment to transform your smile. 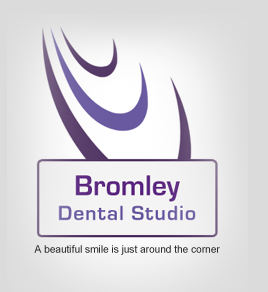 Bromley Dental Studio provides an affordable and comprehensive range of cosmetic dentistry services to patients in Bromley, Orpington, Petts Wood, Beckenham and surrounding areas. Bromley Dental Studio provides home tray system whitening, enabling you to achieve a whiter, brighter and more beautiful smile that boosts your confidence. Learn more about teeth whitening in Bromley. Six Month Smiles and Fastbraces are rapidly becoming most peoples choice in straightening teeth naturally using the latest technology with barely noticeable braces, it works extremely quickly compared to all of the other systems by mainly focusing on the aspects of your smile that concern you. If your teeth have been damaged due to decay, fractures or have been root filled, they may need to be crowned or bridged. Dental Implants are an excellent option for teeth replacement. A prosthodontist along with a specialist implant surgeon achieve the best possible result in dental implants. Dental implants provide strong support for dentures and eliminate the need for removable partial dentures. We will be able to refer you to our local implant specialist should this be appropriate for you.